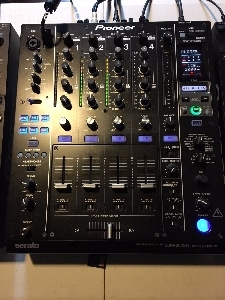 Selling 2 Pioneer CDJ 2000 Nexus with the Pioneer DJM900-SRT MIXER Serato edition with the built in Serato card in the mixer. Everything works good and is in great shape. Comes with power chords and RCA cables. You can use with rekord box or serato. I have the boxes as well. Excellent condition . Never used in gigs , just occasionally used in studio . Boxes available , no scratches . Pretty clean.